Do I have to know Swedish for studies or getting a job in Sweden? Let’s be honest, we have all probably asked this once before thinking about coming to Sweden. And I will comply – I am no exception! 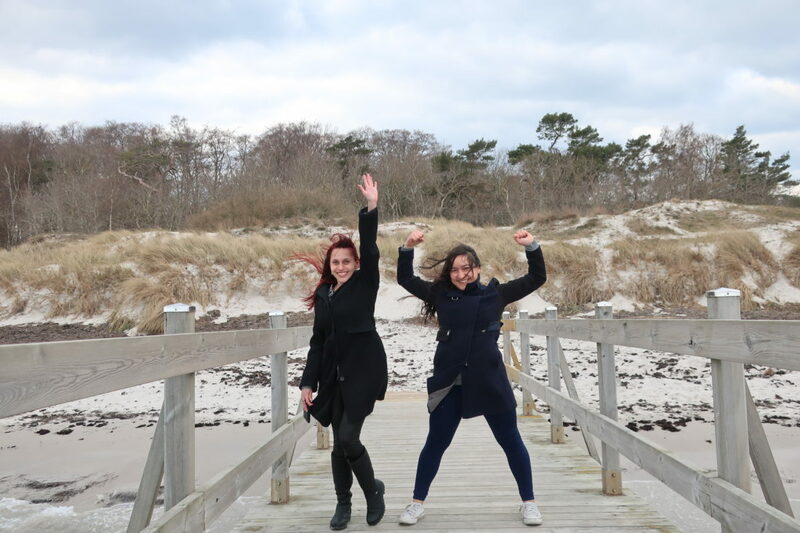 But regardless, I did end up coming to Sweden and must say it has been one of the best decisions I made. If you list down all the necessary aspects you need to move to a new country, then fear not…Sweden has it all! Coming to our question about studies, let me tell you that Swedish education system is one of the best you can find. And to your pleasure, it is taught entirely in English at Masters and PhD levels. In Bachelors, however, there are English-taught courses but are limited. 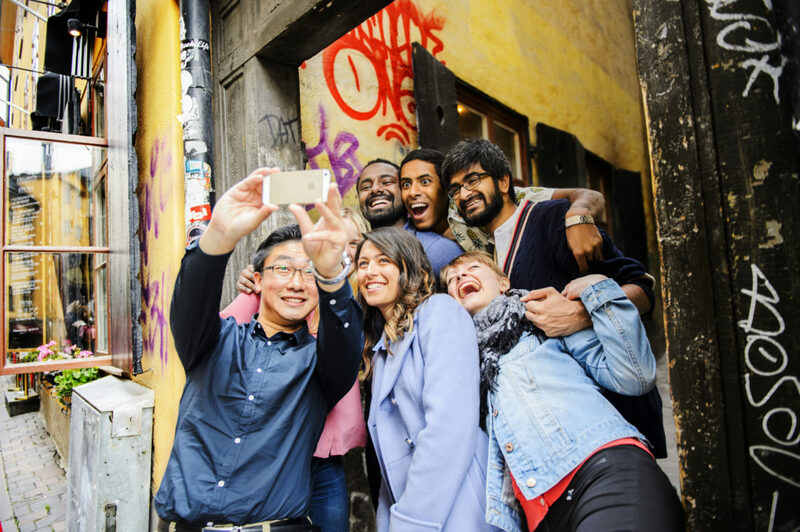 So if you wish to pursue a postgraduate degree, keep Sweden as one of your top priority. Very flexible educational environment, cooperative faculties, cordial administration and… lotslotslots and lots of group work. This reminds me of a joke I heard here. Bottom-line: Swedes respect group opinion and take decision as a whole, one of the star point of Swedish education and professional setting. So if your communication and coffee skills aren’t up to the mark, start working on it! About jobs, Sweden has ample opportunities but the golden saying remains the same – ‘Trick is to find the right one for you’. It’s true that Swedish companies often prefer candidates having local language skills but let me tell you, there are tons of multinational companies all around Sweden, whose corporate language is English. These can be your go-to companies if you want to find English-speaking jobs. But hey, learning Swedish isn’t that hard as I mentioned in one for the previous blog post. Once you are here, take some Swedish non-credit courses or join SFI (Swedish for Immigrants) and get some Swedish language skills going. 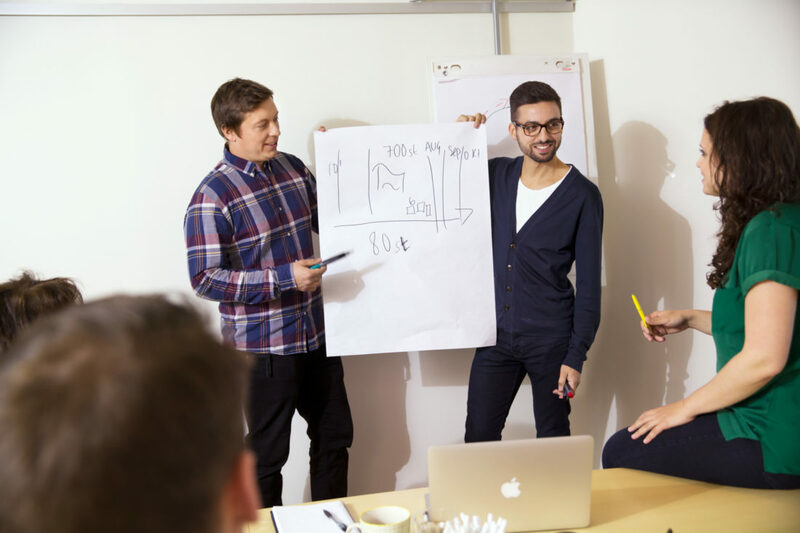 Not only you start feeling comfortable owing to it but such can be a good add in your CV too, where you can show the employers that you are curious about Swedish and want to learn the language. Many companies see it as a positive and might overlook the fact that you aren’t completely fluent, ending up considering you for the job. So in one word – No! 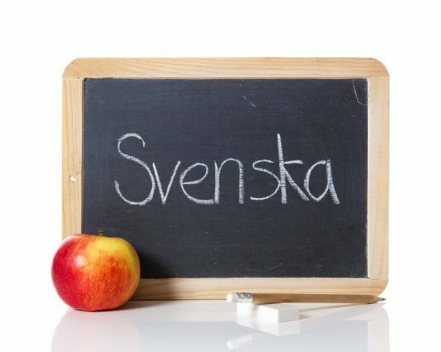 You don’t really have to know Swedish to come to study or even work in Sweden. But why not take this opportunity to learn the language and improve your communication skills. I am learning myself and it’s easy, fun and helpful! 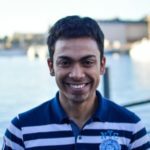 My name is Khokan and currently i am working in Dubai but now I am planning to move to Sweden soon with my wife.Though i have searched a lot in interent about the life and job options but still would like to know what will the appropriate minimum living cost for a couple and how much appropriatly i can earn if i do the odd jobs and i dont know Swedish.My wife would like to do Masters and does she need IELTS score to join college as she will be travelling with me as my spouse. It depends on everyone’s lifestyle and hence I cannot give a concrete figure. However, around 9000 SEK should be okay if its 2 persons I think. About part time jobs, I had written a blog post on it here. Kindly refer to it as it might help you clarify your doubt. And regarding your wife, it depends on the university requirements and I can suggest to contact them individually or checking their website to see what they require. Thanks a lot for your reply Ridwan. Actualy i am planning to move in Sweden with bussiness visa .Do you have any idea how would the cost to setup a small bussiness like grocery shop or small cafe.Or if i work full time how much could i earn there approximately i know its not fixed for all.And i have experiences in banking in Dubai can i get a job in any bank there if yes how is there salary approximatly. And do you think its wise to settle if i get a chance to settle there. Hello Redwan, I am Paul from Nepal.I want to come there in Sweden through the working visa.I have 2 years experience in cooking Indian And Continental.Is this possible to come there Sweden through working visa from Nepal? Yes you can come but for that, you have to secure a job first. Once you get a job, apply to the nearest Embassy with all your documents. bai i am abdur razzak . i have got visa at gavle university . i will go Sweden in 4th February but i did not manage my accommodation yet would u pls help me???? Unfortunately, I dont live there and so cant really assist in this matter. However, I suggest you contact the student union or the housing company in that city to check for availability. I hope to apply for MBA for autumn intake 2016.Let me know if my husband coming with me will it be possible to find out a job there to cover up our expenses.also ruffly let me know how is the living cost for two people per month?we are middle class family and no one is there to help us.so we expect to cover up our expenses by doing a job in sweden by my husband and me doing a part time job while doing my MBA.Can you please let me know what is your opinion as a person who lives in sweden?also after MBA what are the paths available for us in sweden?and what are the cities it is easy to find out jobs in sweden?Thank you in advance. Please keep in mind that Sweden is an expensive country therefore, its always wise to plan your expenses well ahead before moving here. I’m planning to do the Masters at Swedish university. I want to know that if i want to pursue M.S then how much money I have to show for my living expenses? Most of the information i get is an amount of SEK 7300 per month for ten months. Do i have to show my bank statements for 18 month or for 10 month? I highly suggest you visit http://www.migrationsverket.se/Privatpersoner/Studera-i-Sverige.html where all the information about bank statements are given. IF you have further queries, you can just contact them directly as they are the best source of information you can have. hello i am shuvo from bangladesh .i have completed my h s c exam recently and i study in a university fast year and my study is progress.but really want to come sweden for study any subject beside part time job.would u tell me which subject is best for me that’s why i get a good job after complete my course .because i am belong middle class family .in my life i want to be rich man for sustain my family . Good to know that you wish to come to Sweden. My suggestion would be to complete your Graduation from Bangladesh and then apply to Sweden for Masters. It will be easier as lot of scholarships are also available at that level, that will cover all of your costs. For the time being, focus on your studies and get good grades. Please go to http://www.studyinsweden.se website and find the subjects of interest for you. Then you can check their respective university sites and apply when the application begins in October 15th, 2015. Congrats on your admission. There are English medium schools in Sweden but usually in the bigger cities. Thus I am not sure if there are any in Gavle. You can always make a google search and check. Regarding job opportunities, it is possible to get a job but, assuming your hubby does not know Swedish, he will have to look for English-speaking jobs. It is possible to find them but he has to put in some effort and search well. Good luck with your endeavors . Hello. I have much interest to study there, but I’ve 7 years school going daughter, for whom it is not possible to start study with new language. Would you please inform me, if there any bengali parents, what they do with their child, or there any bangla or English medium school? Thank you for your interest to Study in Sweden. There are quite a lot English-medium schools in Sweden but that also depends on which city you go to. Usually the bigger cities like Stockholm, Gothenburg and Mälmo have them. Unfortunately I do not know of any family but you can find those list of schools easily over the internet. Hi Redwan How are you ? give me ur Email & phone number.